Mornings are not my best in general so I always try and sleep in during the weekends to make up for lost sleep during the weekday. 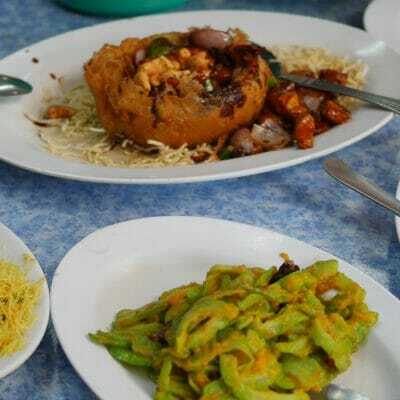 Because of that, I missed out on trying the Nyonya nasi lemak at Restoran Sepetang thrice. Each time I get there by 10am, they’re sold out. 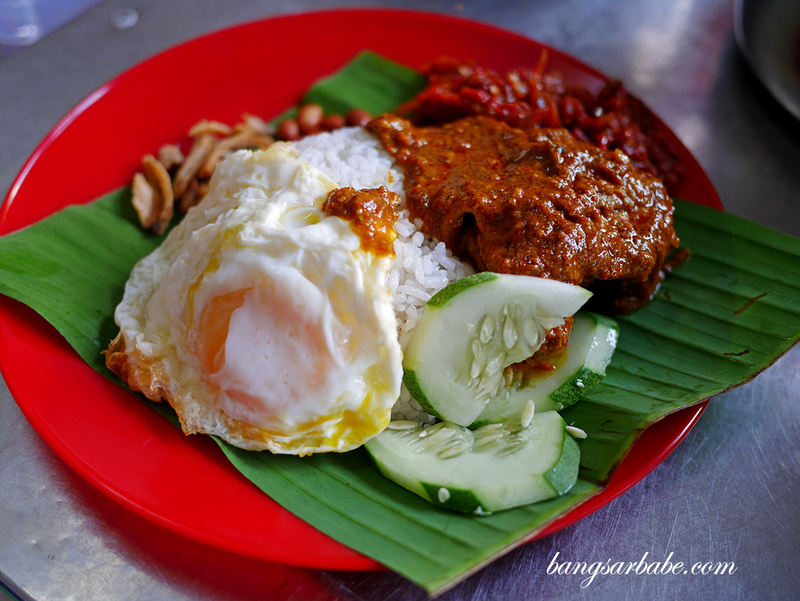 It was only when I had to service my car at 8am last Saturday that I managed to drop by Restoran Sepetang in time to try the much talked about nasi lemak. 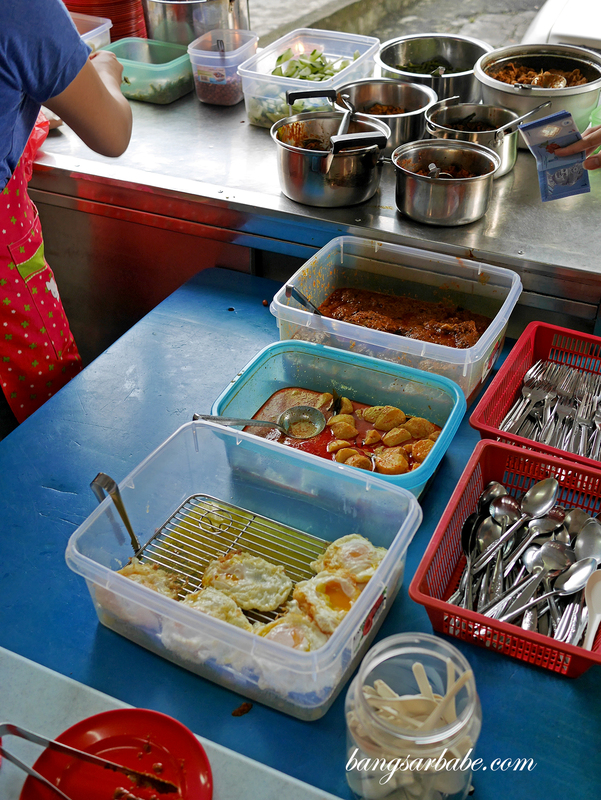 At 8.30am, there is a queue of people selecting their condiments for nasi lemak and many of them opted for takeaway (at least 3-4 packets). 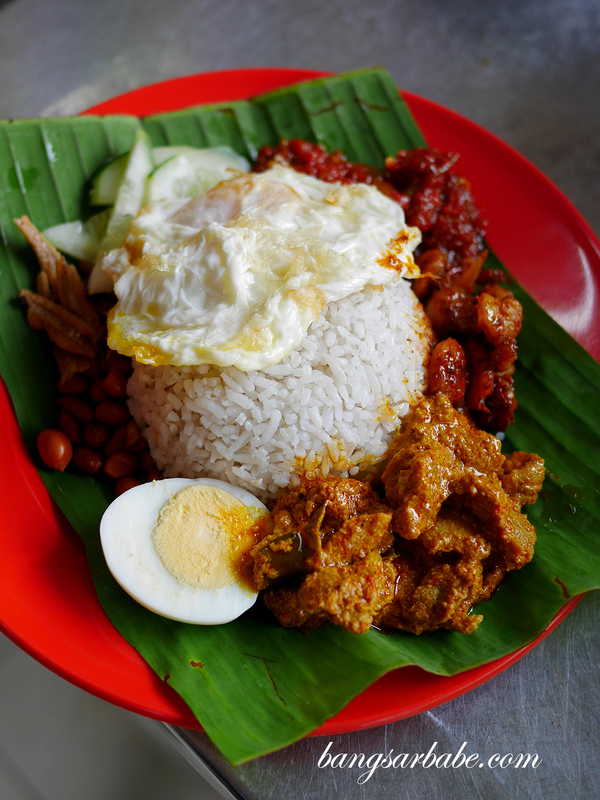 Some options for nasi lemak include wild boar curry, chicken rendang, pork rendang, sambal prawns, sambal squid and fried luncheon meat. I opted for the chicken rendang and a sunny side up for my nasi lemak, while Jien took wild boar curry, sambal prawns and a sunny side up. It is slightly nerve-wrecking if you’re at the back of the queue, watching as the food portions dwindle with every large order people at the front of the queue make. 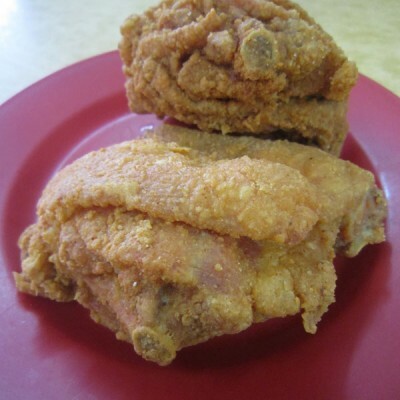 At least that was how I felt when I was waiting in line – worrying if there would be any chicken left for me. Lucky for us, we still got what we wanted and by 9am, I was happily tucking into my plate of hot nasi lemak with rich rendang gravy and sambal. 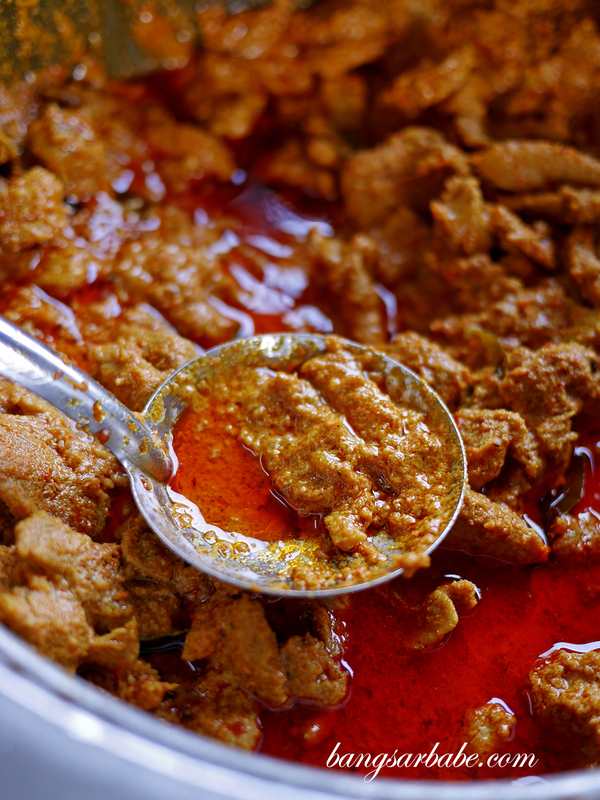 The chicken rendang is worth checking out as the gravy is thick, adequately spicy and aromatic from the addition of lime leaves. Definitely one of the better Nyonya-style rendang I’ve eaten. 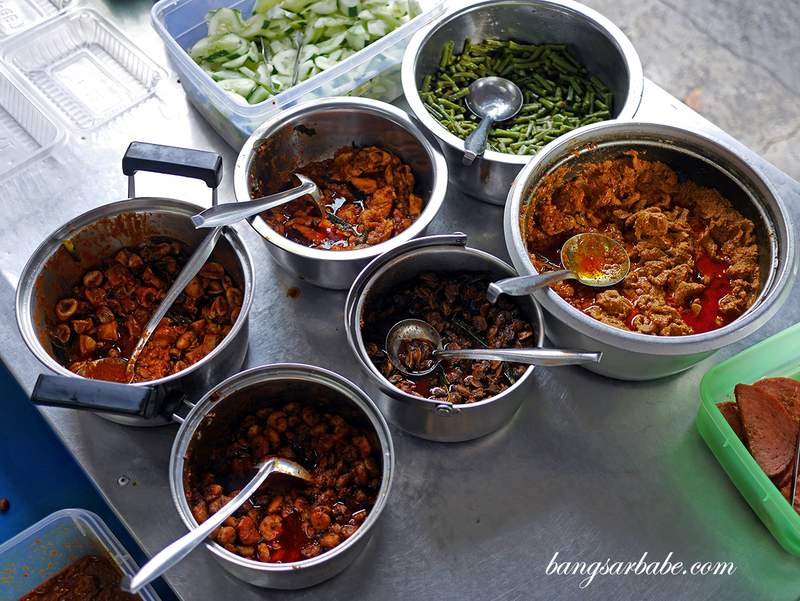 I like how the sambal has a “lemak” flavour to it, without being overly so. 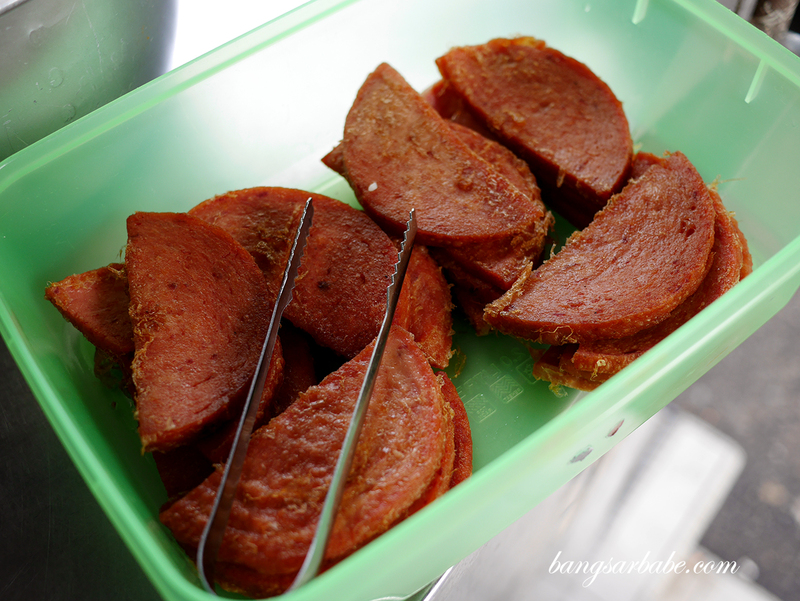 It’s not as spicy as the Malay version but enough to make your tongue tingle. 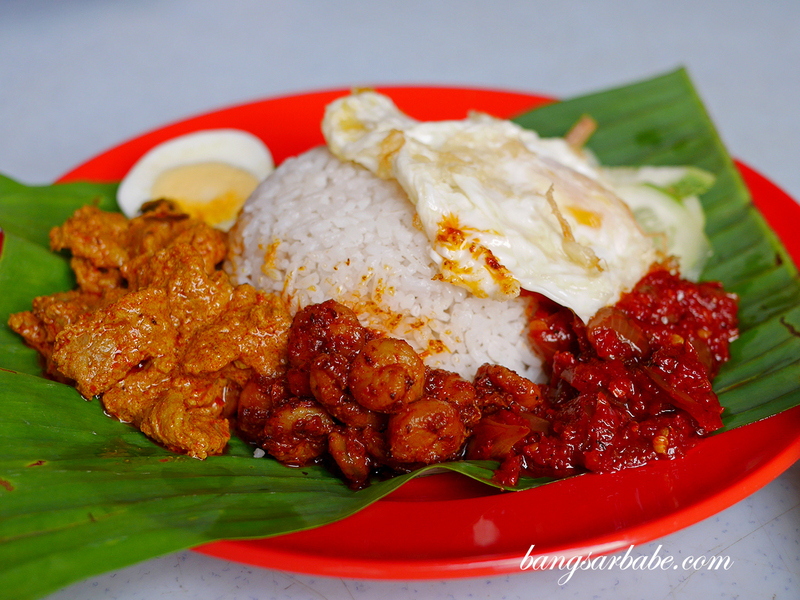 Jien’s nasi lemak combo is also good as the wild boar is tender and packed with flavour from the gravy, and the sambal prawn is succulent and justly spicy. 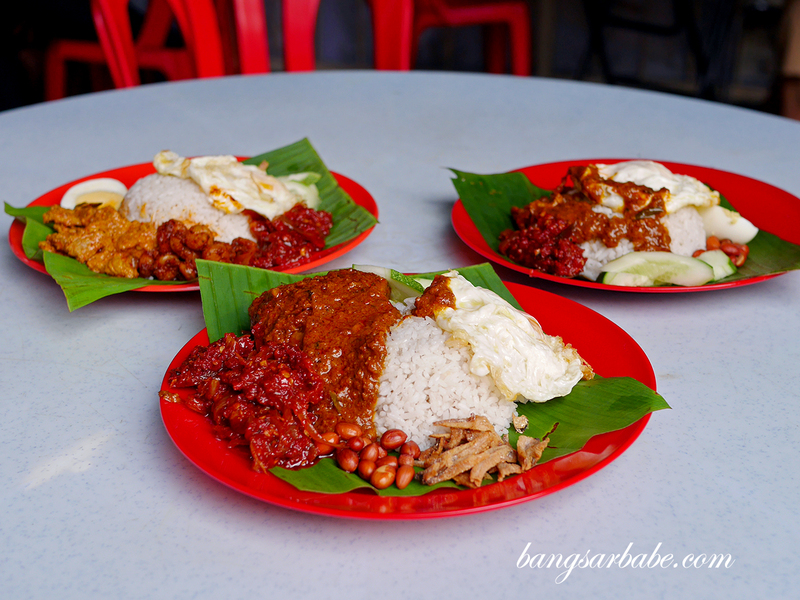 We paid RM21 for three plates of nasi lemak with condiment which is alright. 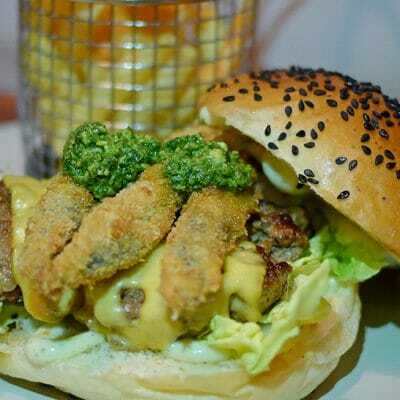 If you want to try this, it’s best to arrive before 9am to avoid disappointment. 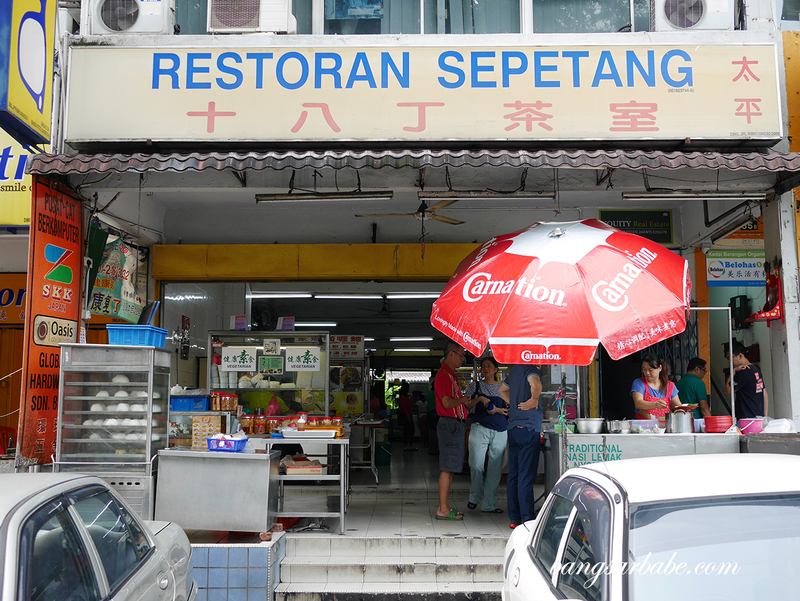 By the way, there are other stalls inside Restoran Sepetang if you want something other than nasi lemak. 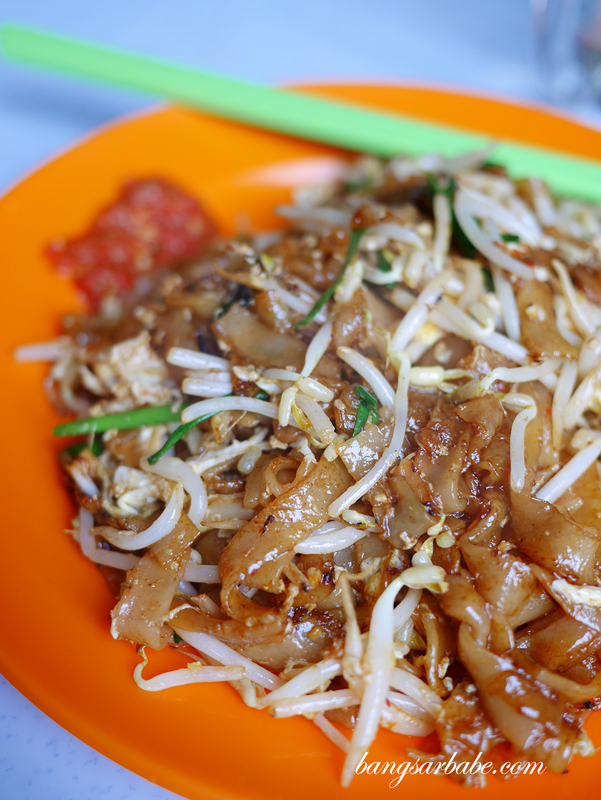 I tried the char kuay teow which is pretty average and lacking wok char. 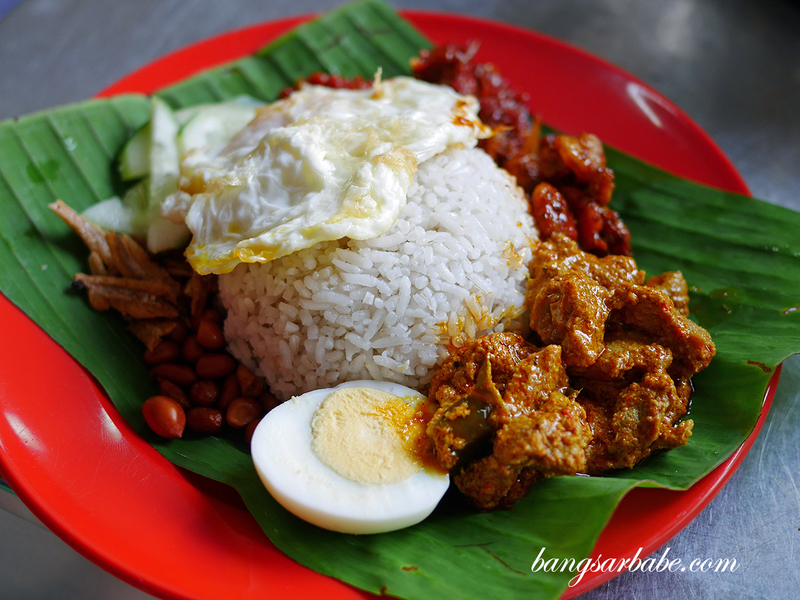 Verdict: One of the better Nyonya nasi lemak I’ve eaten. 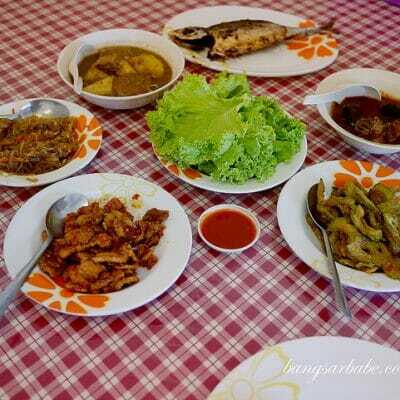 Try the wild boar curry, sambal prawns and chicken rendang, and remember to go early.